Glassbender Michael Blazek's Neon Graveyard. Student Spotlight: Sarah Goodhews Polychromatic Cathedral Typeface. 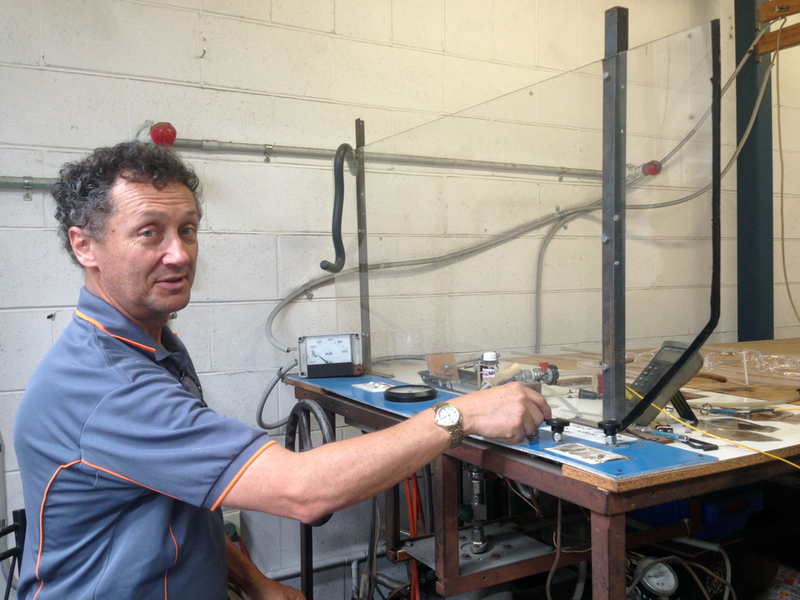 Last month I had the pleasure of spending the morning with creative Michael Blazek in his East Brisbane work space. 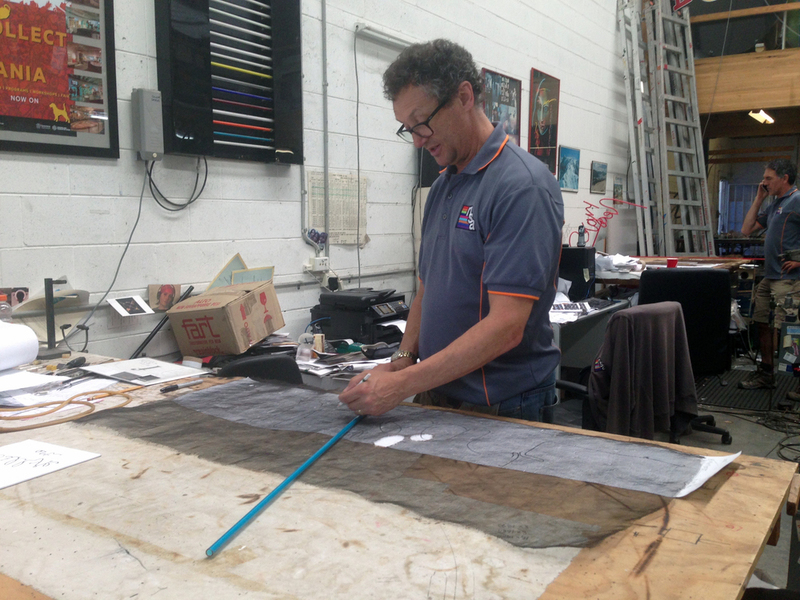 As an artist & craftsman Michael works in a number of mediums. But is perhaps most passionate about Neon. 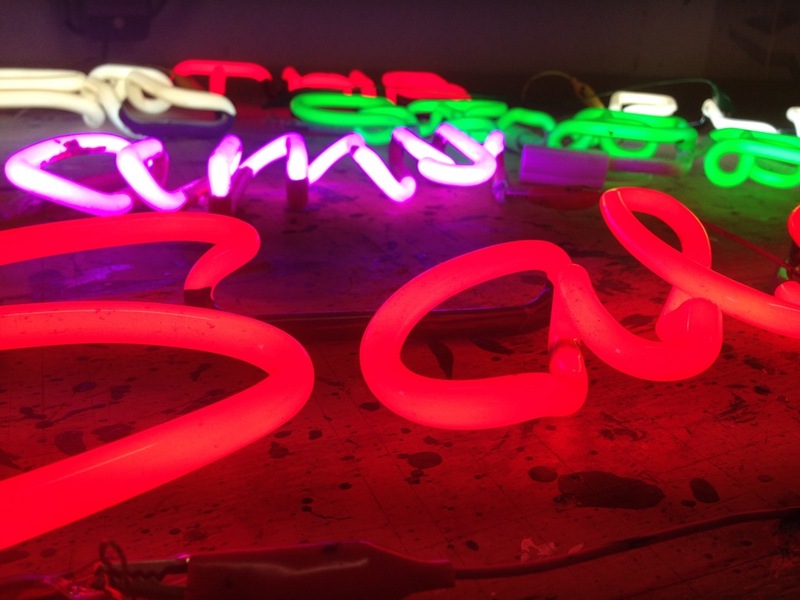 Neon signs have a long, colourful (& bright!) history. But unfortunately like many analogue crafts fewer and fewer contemporary practitioners are becoming skilled in this trade. 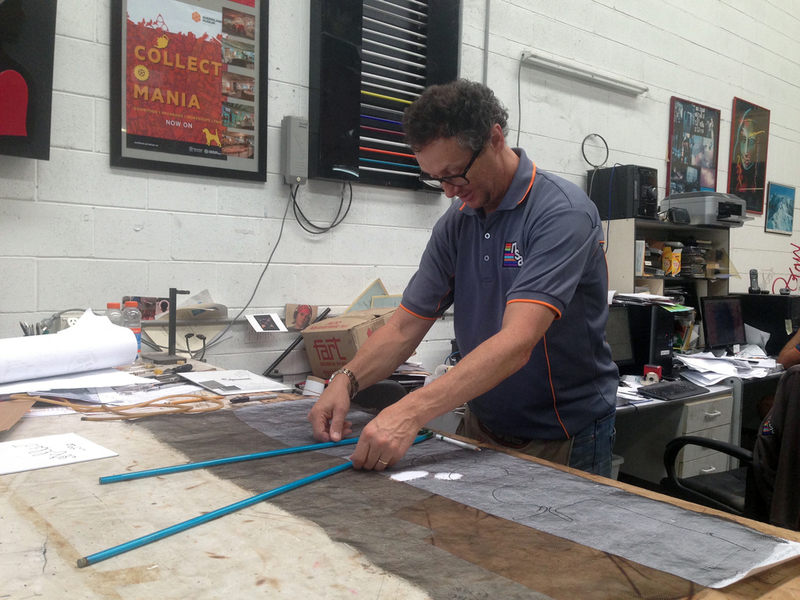 Michael is one of the last remaining Neon Sign Manufacturers in Queensland. 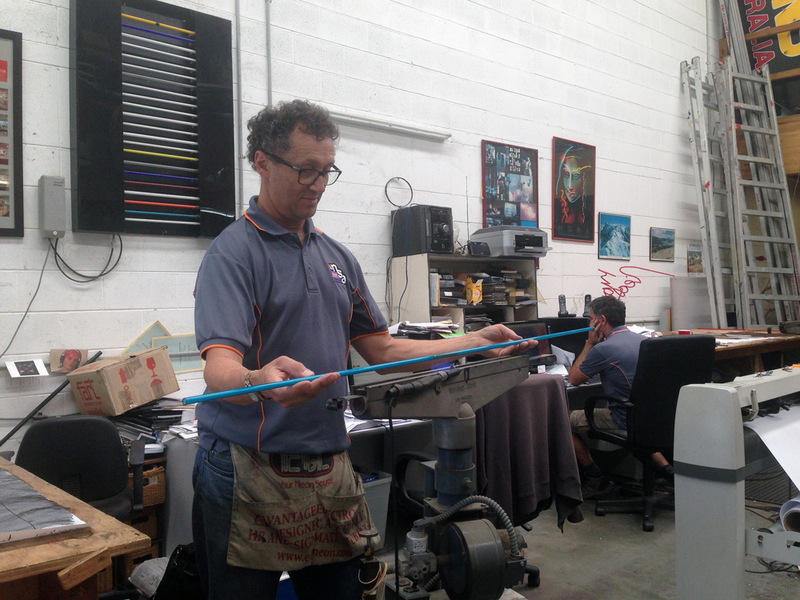 On the day I visited, Michael was bending turquoise glass tube into a superb monolinear script for Ben O'Donoghue 's second Brisbane Billykart kitchen (opening soon in west end). Michael took me through the process of using a scale skeleton of the letterforms, to map out tube length and curve radius, laid out on a workbench as each glass tube is heated, bent and cooled to create the physical form. The hollow glass tubes come in loads of colours and tints, (I was really surprised by the number of coloured glasses Michael has in their workshop). The tubes are then filled with gas and sealed with electric nodes at each end. Areas that are not to be illuminated (and negative spaces) are painted to block out the light. An electrical current is then passed through the tubes, causing a reaction with the gas which emits light. (creating glorious glowing letterforms). During the 60s, neon signs were phased out in favour of plastic fluorescents (and later LED's) but Neon is making a comeback (particularly with Mid-century enthusiasts!) as both signage and artistic medium. This passion is evident throughout his work. In 2011 Michael handbent 200 glass pieces for the Surrealism Exhibition at GOMA. Many of which are now archived in Michael's extensive collection of Neon and Signage artifacts and artworks. We talked a lot about preservation - and his collection (a growing letterform graveyard) as Michael is keen to restore and preserve architectural neons (and other signage). To not only catalog his craft but also to share it with others and get more old signage out into the public realm. Michael seeks to document culture through signage and is actively seeking more neon to salvage, recondition and in some cases re-purpose. Another current project Micheal is exploring is a series of collaged neon word and letter fragments mounted onto recycled skate decks (I cant wait to see these come to life!). And since visiting his studio have been excitedly noting down/sketching options to collaborate with Michael on a neon project. As I was totally inspired by his work and passion for Neon lettering as an artform! Michael grew up immersed in signage, first learning from his father at their family owned billboard, neon and sign writing business in the USA. 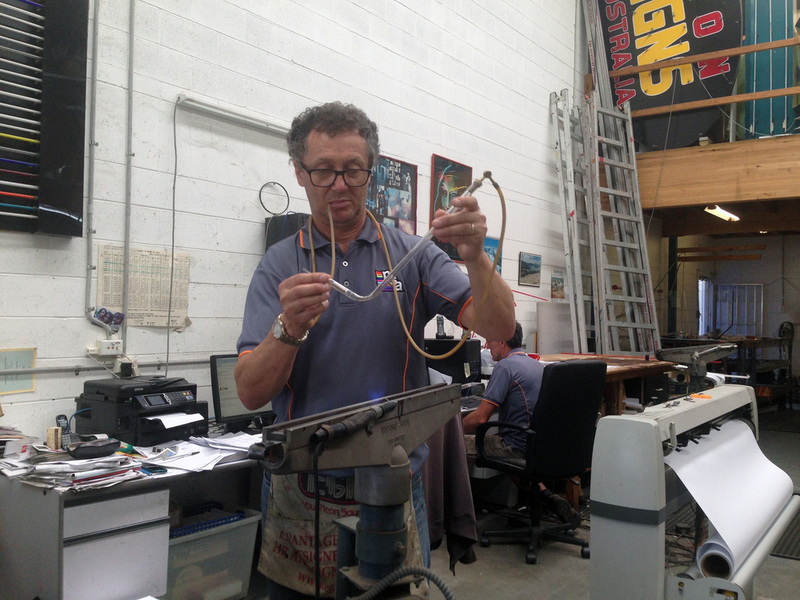 In the '80s Michael moved to Auckland NZ to undertake a glass bending apprenticeship before settling in Brisbane and co-founding Neon Signs Australia. 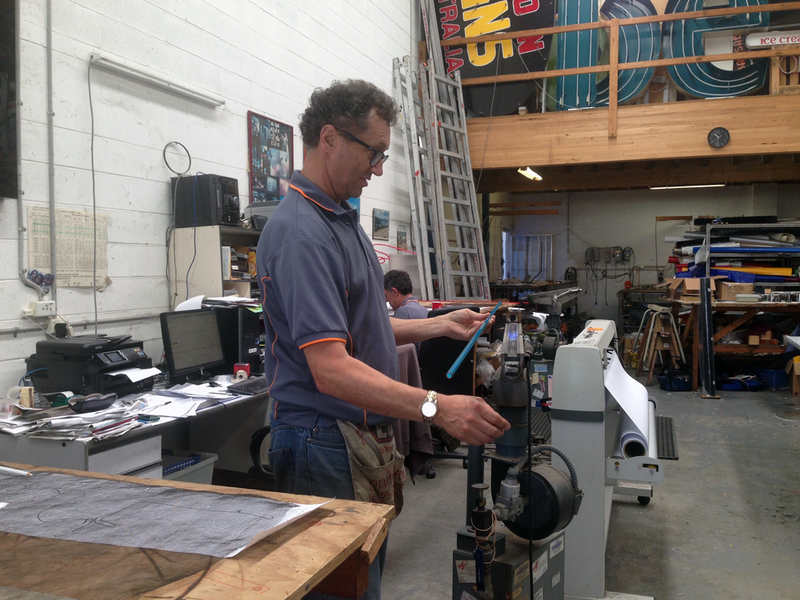 Michael is now the the president of the Australian Sign and Graphics Association. 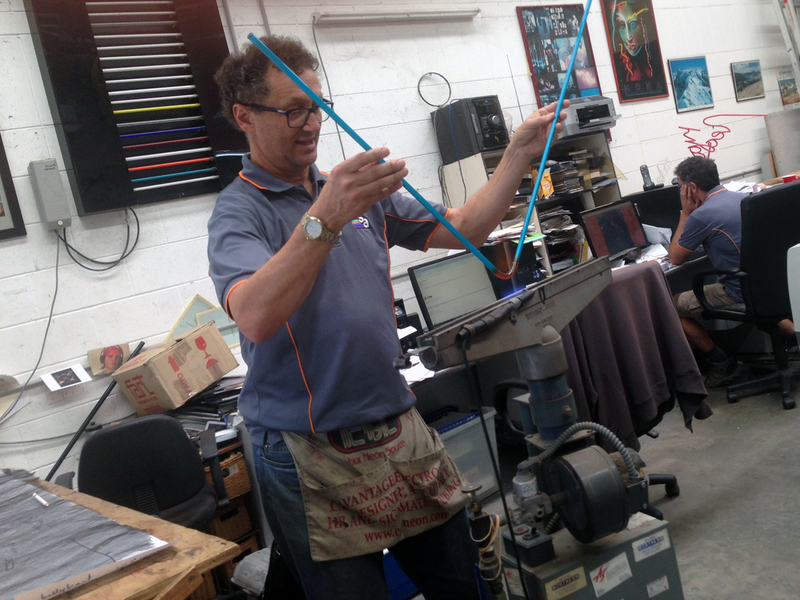 And if you know of any local Architectural neon in disrepair or need of salvage please get in touch via 07 3891 2563 as Michael is keen to rescue and archive as much glassbending as their workshop allows! The multitude of colours are created through tinted glass and various gasses. Like letterpress in Glassbending letters are formed in reverse. Newer:Anthony Burrill on getting started and staying focused.Older:Student Spotlight: Sarah Goodhews Polychromatic Cathedral Typeface.